Hospitality website design and development for Miami entertainment venue. The Coral Gables Country Club is a historical landmark in the city of Coral Gables, Miami. This historical building was restored to it’s current splendour by Toronto’s Liberty Entertainment Group. 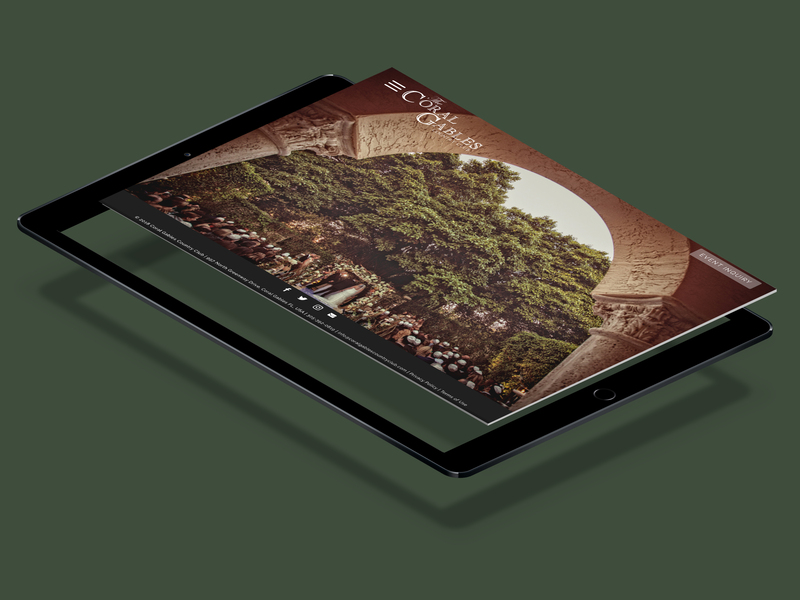 Toronto Creatives has designed and built both itterations of the Coral Gables Country Club website since the venues restoration and re-opening in 2010. 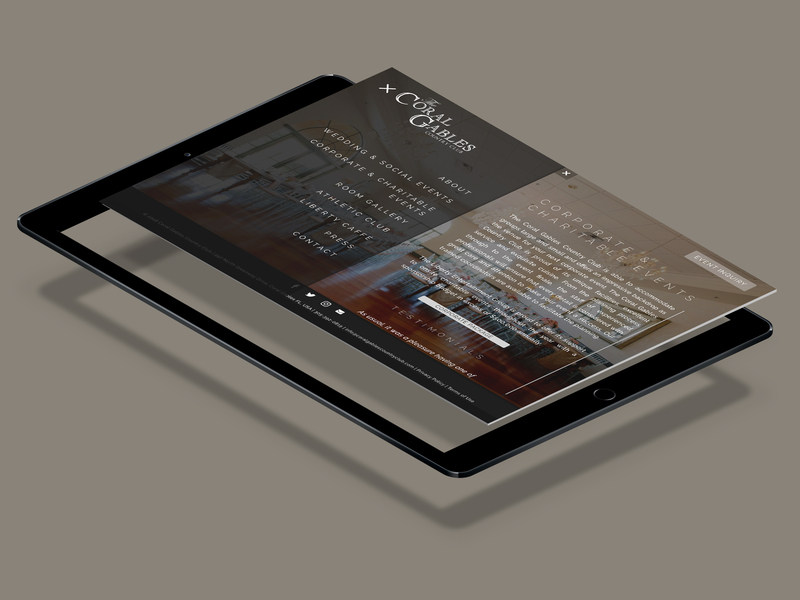 The lastest itteration was launched in 2018 and is a fully responsive site with an elegeant minimalist feel that allows beautiful photographs to do the talking. As part of the Liberty Entertainment Group portfolio of hospitality venues, visual consistancy was important for cohesivness across the brands banquet venues, while still alowing the uniqe persona of each venue to shine though. 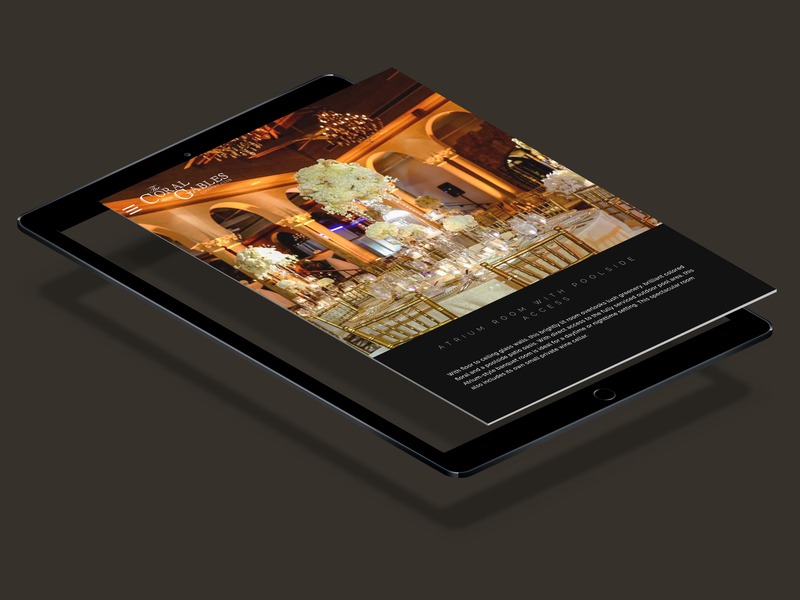 This was accomplished with a minimalistic, yet highly detailed and thoughout UI/UX, that flows though each of the Liberty Grooup banquet venue property websites – allowing the images of the properties to speak volumes for themselves. This site is also setup with a customized user-facing content management system for easy client updates. Visit: CoralGablesCountryClub.com to see the site in action!